SINGAPORE : My TOP 10 “to do” in Singapore ! Top 10 reasons to visit Singapore in 2016 ! 20th smallest state in the World is also one of the most beautiful and most fun city in Asia. 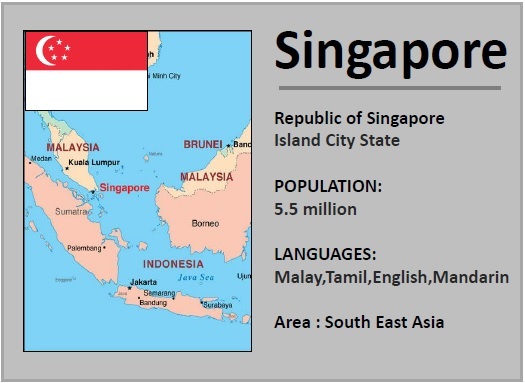 This Island City State off southern Malaysia is a multicultural melting pot incl. Chinese, Malay, Indian and Arabic residents. Amazing architecture, lush gardens, world class attractions, night life and shopping…all neatly situated in one city which also has one of the best Airline’s and Airport’s in the World. Fancy to sample traditional Indian Curry, peek inside Chinese Shrine or buy Persian carpet from Arabic Bazaar ? You can do all of this in one afternoon. Chinatown, Little India ( locally known as Tekka ) and Arab Street are only few minutes drive from each other. · Chinatown : visit eclectic coffees, quirky shops, old tempels, offbeat drinking holes and great food. · Little India : celebrate Diwali festival, shop second-hand goods alongside traditional spice grinders and grocers between colourful Hindu Temples. Your trip cannot be complete without a stroll thru one of the Singaporean latest mega attraction’s. “The Gardens by the Bay” spanning on 250acres of reclaimed land offering cloud forest shell shaped domes with waterfalls, suspended bridges and jungle, 3 huge outdoor themed gardens , SuperTree Grove and many attractions for adults and kids alike. You can couple the walk with visit of Marina Bay Sands hotel SkyPark and enjoy glass of white wine Sangria at CE LA VI rooftop bar. My favourite place in Singapore. Tropical island designed for fun and relaxation. You could spend the entire week here without stepping out. 20mil visitors enjoys never-ending fun at Sentosa annually. Island is home to 14 hotels, shops, casinos, cable car, maritime museum, waterpark, bizaar crane dance show, theatre and Universal Studio theme park with fantastic rides and rollercoasters, 3km of beach and 37 other attractions. It’s a tropical paradise “few meters” from the city to give you joyous taste of this exotic destination. For the shopaholics between us, Orchard road is an obligation. ION, Ngee-An City,Paragon or Tangs with great “toys for boys” gadget area in the mens department. 22 departments stores awaits you on one big long boulevard. Especially beautifully decorated during Christmas. It may sounds silly, but yes, Singapore has a lovely white sand beaches, islands and coves to watch romantic sunsets while sipping your favourite cocktail. All on Sentosa Island. Water isn’t the best quality but clean enough ( it may vary by season ). Also, the Asian’s southern-most point is to be found here, so don’t forget to take a selfie. The “Best of Singapore” doesn’t start in Singapore, but before you even get here. World’s most awarded Singapore Airline with exceptional customer service ( cabin crew training lasts 4 months ) sets you directly in to the holiday mood. Singapore Air was the first Airline to put the world’s largest aircraft “A380” into service and by now, they operate fleet of 19 of them ( 5 in order ). Changi Airport itself won 6 times the prestigious Skytrax award for the best airport in the world. With outdoor/indoor gardens, cinemas, interactive corners, plenty of day light and greenery to sooth your eyes after long journey, together with friendly immigration officers and quick baggage handling …you will not want to leave. Singapore is one of the cleanest city you can visit. It also designed with people on mind and everything from transport, tourist informations, tickets…it’s easy to use. People are friendly, speak English and taxi drivers will never try to rip you off. 8. Perfect for a stop on route to South-East Asia. Choose Singapore as a stopover on your adventure voyage to Thailand, Cambodia, Indonesia or Malaysia. With flights taking less than 2hrs to many fabulous tropical destinations around, you will be spoilt for choice. Also, variety of air carriers to suit every budget – Singapore Airlines, Air Asia, Tiger Air, Silk Air … dozens of exotic destinations to choose from. Known as the “City in a Garden “ the local government is working hard to make sure every little available place its full of abundant lush greenery and a maintain clean environment in order to make life more pleasant for the people. Take a ride of a life time on the World’s second biggest observation wheel with breath-taking views over F1 circuit, Marina Bay, Skyline, Gardens of the Bay from the height of 165m.